Deeply saddened to learn of the passing away of our beloved teacher Subodh Kumar Sinha (Teko). 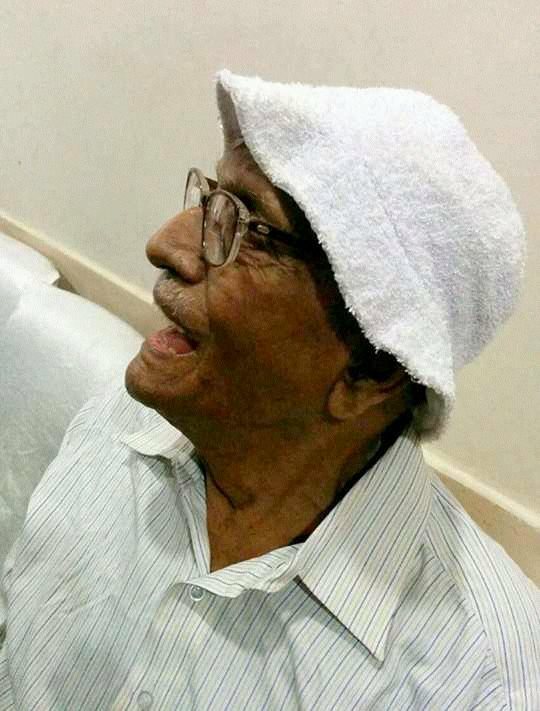 Condolences can be sent to his daughter: Sriparna at 9830780784. Flat 3D, Narayan Apartment, 15 Banamali Ghosal Lane, Behala, Kolkata 34. RIP. More details awaited. Heartfelt condolences! May his soul rest in peace & GOD give Sabya & his family to overcome this irreparable loss! An institution lives on and never dies. His legacy will continue to live and inspire generations on the art of being wise in humility. It's time to shed tears of joy and rejoice in the thought that such a noble soul did indeed touch our lives and blessed us. May his soul rest in peace and deepest condolences to his family. He was kind enough to allow us to play in his tennis court and even teach us a trick or two. He and his friends were fine club level players. I gave him a freezing bike lift to his daughter's place during HOXA nearly a quarter century ago and he regaled me with funny anecdotes all the way. A phenomenal human being with a prodigious memory Mr. Sinha was a teacher who truly loved all his students. We used to go to his house in the afternoons when he was asleep and quietly have a swim in his pond. During guava season you could count on him to get you a few. Fortunately I was able to meet him at a recent reunion where true to form he recognised virtually all those present and even enquired of my uncles and others who weren't there.. Difficult to believe he is no more.An era ends wid him.Lucky to have been his student.He wd live alwz in my memory..An able teacher and affectionate one wid d rare quality of instantly making a student feel at home,He wd b missed by his students for long........till de live,to b more precise.May his soul rest in peace. Deeply saddened. Mr.Sinha was a truly beloved teacher and a wonderful human being. Hazaribagh will miss him. Just found out about this a few days ago after joining the Hoxa group…Mr. Sinha embodied the unique ethos of SXH where community was integral to our existence, and where teachers cared about our lives, beyond what we learned in the classrooms. He was always enquiring about how we were doing and brought us guavas and plums from his own garden. We went for Saraswati Puja at his house a few times…I remember there being a big pond and a tennis court. I can close my eyes right now and see him standing next to his bicycle in front of the main building, with a crowd of students around him. I met him again during my only visit since graduation (in December 1991) near Kutchery (I was there to collect my birth certificate). Soumitra Chatterjee (from our 1975 batch) was also there to collect something (he was teaching at Sherwood College at that time). Mr. Sinha initially didn’t recognize me, but after mentioning my nickname in school and some other names from our cohort, he was instantly back to his old self and we had a nice 5-10 minute conversation. He wished us both well in life when we left. Thank you, Sir, for what you did for us during those amazing years, and my deepest condolences to his family. Sinha Sir, we for you and famly and offer our condolences and try to follow the path shown by you.